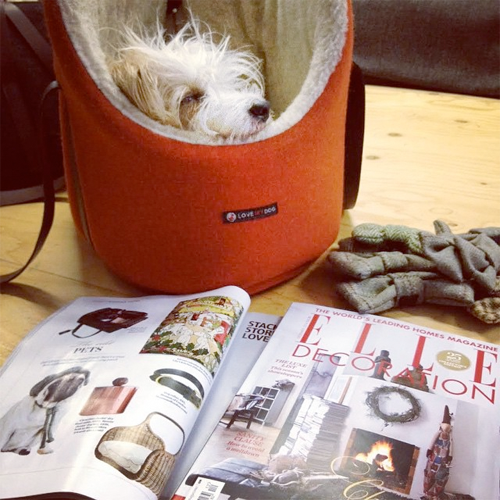 We’ve been trying to wake Rabbit up to let him know that LoveMyDog is in Elle Deco again. Perhaps that pet carrier is just too comfy? Mini the Pug (bottom left of photo) has been featured wearing our tweed Digby dog hat.